Blog » Health FAQs - Frequently Asked Questions » Can A Person With Tattoo Donate Blood? Everybody is encouraged to donate blood after they come of age. We even have an article about the benefits of blood donation on our blog. If you have ever donated blood then you would know its importance. You are potentially saving at least one life at cost of a small volume of your blood which is replenished within the next 24 to 36 hours. Though there are certain misconceptions about donating blood. For instance, people often ask, can a person with tattoo donate blood. In this article let’s bust the myth about the same. 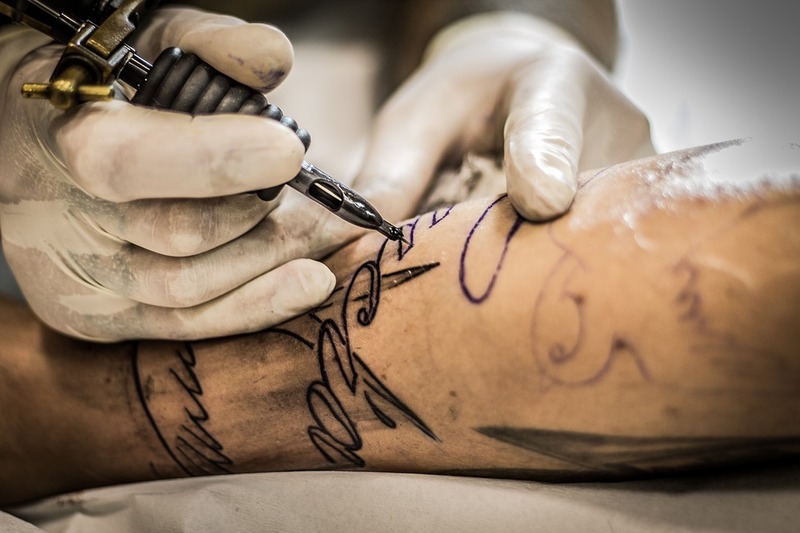 Health regulations around opening a tattoo parlor in India may seem like a negligible task, but any aspiring tattoo artist is bound to do a regulation check of his parlor before opening it to the public. If you have recently gotten a tattoo from a parlor which is not approved by state regulation or hasn’t received its regulation permit then in those cases the answer to the question can a person with tattoo donate blood, temporarily becomes no. At least for the next six to twelve months. This is done because there is a potential risk that the unregulated tattoo parlor may be using unsterile needles, or maybe the same ink is reused for multiple customers. These practices increase the risk of HIV, Hepatitis, etc. Also, read about: Is Tattoo Removal Safe For Health? Can A Person With Tattoo Donate Blood. Find out. Here is a list of eligibility criteria for donating blood. If you meet all of them then you can happily go about donating blood. If you are not suffering from any underlying disease, especially contagious or STDs. If you are 18 years old and weigh at least 50 Kgs. If your pulse rate averages around 50 to 100 beats per minute. If you have a standard blood pressure of 120 over 80 mmHg. The problem arises when you fail to meet the above criteria, or if you have any of the following problems. Then the answer to “Can a person with tattoo donate blood” becomes NO, but don’t worry, you will only be asked to stop donating blood for maybe six to twelve months. Here is the list of conditions under which you may not be able to donate blood. If you’ve consumed alcohol in the last 24 hours. If you recently traveled abroad. If you’ve had a dental surgery in the last few days before donation. If you’ve smoked in the last four hours before donation. If the parlor you got the tattoo from is not state-certified. Related reads: Tattoo’s are Awesome But…. Take Home – Can A Person With Tattoo Donate Blood? We’ve already established that in general the answer to the question, can a person with tattoo donate blood, is yes provided, that person meets the aforementioned criteria for eligibility. To conclude this article, it is important to point out, you do not only save other lives by donating blood. Blood donation is also good for your own health.